See how leading Payers are harnessing Population Health and Value-Based Care for their most vulnerable members to effectively reduce costs and drive outcomes. 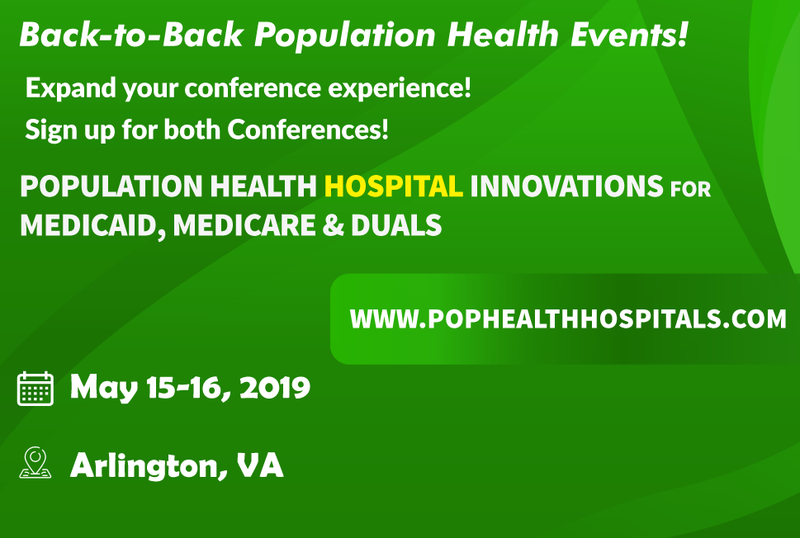 “Population Health Payer Innovations for Medicaid, Medicare & Duals” , focuses on strengthening payer-provider relationships, sharing data, building member and community trust and harnessing technology solutions. 15+ top health plans plus innovative policy makers showcase how to incorporate care management and utilization review to get the right care at the right time to most effectively meet the specific needs of each population. Find out how to balance digital and personal interventions and proactively influence member ... behavior. Friso van Reesema, M.P.H. M.B.A.
"This was one of the better conferences I have attended due to the topics and detailed info shared." "Liked the content and ability to network with speakers and attendees." "Content was pertinent to current activities in managed care. These conferences always address what's happening now"
"Quality of speakers & networking opportunities." "The networking that was available to compliment the excellent presentations." "Great content. Good opportunities to connect with Health Plans." "The speakers really covered great/real strategies." "I liked the variety of presentations." "Really great diversity in topics. High speaker quality. Good Case Studies"
"Liked that you had speakers that were clinicians, government policy, & health plans." "Great range of topics and good presenters. Everything was great." "Wonderful presentations from like-minded colleagues who are struggling with the same challenges within these populations." "Knowledge of speakers, breadth of topics covered, while still remaining relevant to overall focus on population health."